In the last one year, India has witnessed iconic economic reforms such as the demonetization drive and passing of the GST bill. These initiatives have triggered positive expectations about the growth of digital payments in the coming future. A report by Google and Boston Consulting Group (BCG) estimates the size of the digital payments industry in India to be $500 billion by 2020. That’s 10X of the current levels. Most of the euphoria around digital payments is focused on B2C. The same BCG report says that, by 2020, non-cash contribution in the consumer payments segment will double at 40%. It further emphasizes that Indian consumers are 90% more likely to use digital payments for both online and offline transactions. This hysteria further builds up with new partnerships being inked between digital payment companies and traditional players like banks and NBFCs to tap the rising tide of digital consumers in India. Take for example Whatsapp’s announcement of a P2P payment system powered by UPI, or Hike Messenger joining hands with Yes Bank for the ‘Hike Wallet’. These above examples show how the attention around B2C digital payment has taken most of our mindshare. But let’s pause for a minute and consider the ground reality. Cash withdrawn from ATMs in March this year stood at 2,259 billion — 0.6% more than what people withdrew in the same month last year. March trends showed that people were slowly getting back to their habit of hoarding and using cash. For the majority of us, cash is still a preferred mode of payment for small ticket items. Small retail merchants in semi- urban and rural India are still reluctant to bear the cost of POS terminals and are, therefore, still dealing with cash. Another BCG study reports that India has only 2 POS3 terminals per 1000 cards compared to 20 in the UK and 13 in the US. The prevalence of cash and the lack of infrastructure begs the question - will B2C digital payments be able to keep up with the expectations that have been set by us? Maybe it’s time to ask ourselves a different question - why are we only focusing on B2C payments? Why are we leaving the businesses out? There are 51 million SMEs in the country contributing to over 40% of the GDP - this is a segment that is still making financial transactions in cash and therefore has the potential to be a deal maker or breaker of Digital India mission. The theory is simple, if we want the consumers to embrace digital payments let’s first equip the businesses that they work for and the businesses they deal with every single day with digital infrastructure. A single business has the power to influence thousands of individuals to adopt digital means. Here’s how. Take for example of a business with 500 employees. 1. Every business works with vendors. More operation heavy the business is, more the number of vendors that it deals with. A business with an employee size of 500 would deal with say around 50 - 200 vendors. So this business becomes the source of money for these 50 vendors. 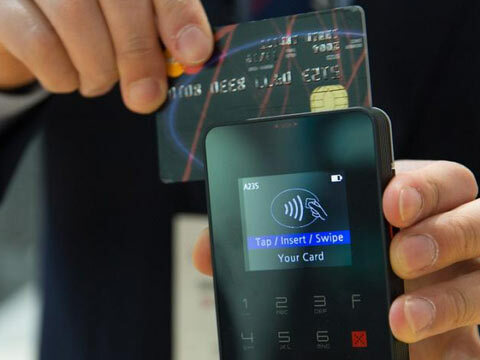 If the source is cashless, then 50 more businesses can adopt/accept cashless payments. The same business is also the source of income for 500 employees. If the business pays salaries only via digital modes [NEFT], all 500 employees are enabled to make cashless payments. These employees would further go ahead and purchase their daily need items from other business, thereby completing the cashless cycle. 2. The vendors are businesses in themselves. Each of the 50 vendors would have employees and vendors to make payments to. Hence, one business can effectively influence 1000s of individuals to adopt cashless payments and the ripple effect cannot be ignored. Given that businesses have this immense potential, how do we empower them with the right infrastructure? First we need to understand the complexity of their operations. Businesses have 7-8 different types of payments including imprest, travel and entertainment expenses, procurement, online/offline marketing, employee allowances, and reimbursements. Over and above this, these payments are made via different mechanisms - NEFT, cash, cheque, corporate cards, and the cycle of making these payments also vary. In some cases, employees need to be given an advance while in others they need to be reimbursed. Managing payments is a big headache. Majority of the transactions are made in cash. There is a lack of transparency, extensive bookkeeping involved and long reconciliation time. Also, there is room for errors due to manual processes. Business processes take more time to complete as the physical movement of cash takes time. To manage payments more effectively and efficiently, businesses need more than just vanilla current accounts and corporate cards that traditional banking offers. They need a next-generation technology platform that eliminates manual processes and brings in automation and mobility; a single platform via which they can fund, track, report and reconcile payments, a platform that offers all the features that they need to manage expenses efficiently such as policies, workflows and other company specific-configurations; a platform that integrates seamlessly with their existing accounting and ERP softwares. There are rising Fintech companies in India offering such cutting-edge solutions. In partnership with banks, these solutions are ushering a new age of financial disruption - one that makes financial transactions smoother, faster and cheaper than ever before.